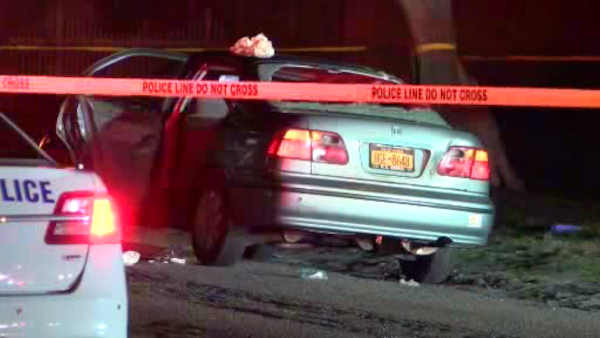 HOLTSVILLE, Long Island (WABC) -- Police are investigating after a passenger was shot inside a car on Long Island early Monday. According to police, a 29-year-old Brentwood man was seated in the backseat of a 1999 Honda Civic that was stopped at the intersection of North Ocean Avenue and Long Island Avenue in Holtsville when someone fired multiple shots into the vehicle at 12:40 a.m. The victim was struck in the head, and was taken to Stony Brook University Hospital with what were described as non life-threatening injuries. It is believed the victim and gunman knew one another, and it is not believed to be a random shooting.